AAA Garage Door Repair Coronado is your #1 company in the Coronado area and surrounding areas when it comes to garage door installation. If you’re in the market for a new garage door orr looking to upgrade, we’re the people to help you! We’ve been in the garage door business for a long time and we’ve worked with all of the major garage door manufactuers such as Martin, Amarr and Clopay. 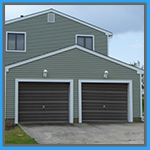 If you don’t see something from our vast selection of garage doors, we can also custom design one for you to meet your needs! W’re here for you! Just pick up the phone and call! 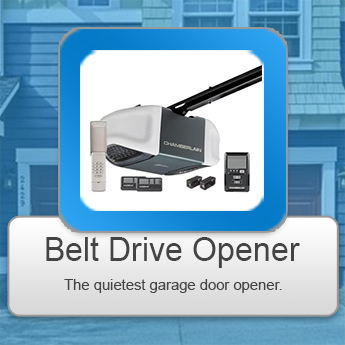 Did you know that the first automatic garage door opener was invented in 1926? My, how times have changed! Now, there are four different types of garage door openers, and each of them is unique in how they work with differrent types of garage doors. It’s important that you make those distinctions before you choose a new garage door opener. The four different types of openers are listed below! Belt dirve openers are considereed to be the best type opener on their market. Their owners love them because they’re so quiet, but they’re also the most expensive opener on the market, too! 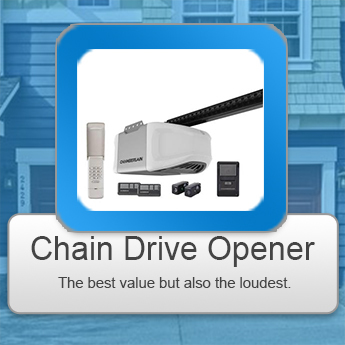 Chain Drive Openers are the cheapest and the most widely used garage door opener on the marke;t; it’s also the noisiest and troublesome is there’s someone living over the garage. 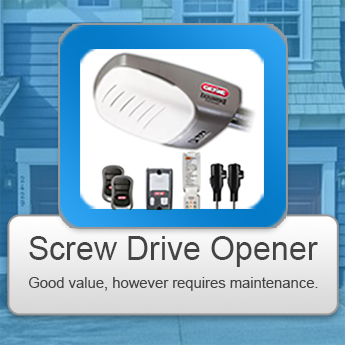 Screw drive garage door openers are another great option; they’re more affordable and people love the screw drive openers because they’re easy to maintain and work well with heavier doors. 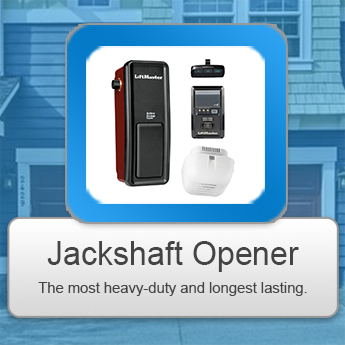 Jackshaft Openers are a fantastic option for doors in industrial areas. 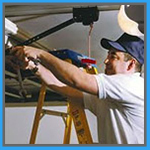 They’re installed on the wall next to the garage door and are the best option when you have limited ceiling space. The second most important part of your garage door system besides the garage door are the springs. They provide the muscle necessary to open the garage door and when they’re broken, your garage door is down for the count! There are two sets of springs — the thinner extenion spring — and the thicker torsion spring — and until they are fixed by a trained professional, nothing is going in or out of the garage. It’s that simple. When your garage door springs or their brackets break, it’s time to call us right away!